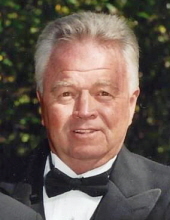 Jon Stewart, 72, Oconto, passed away, Sunday, April 7, 2019 at his home surrounded by his family. Jon was born October 1, 1946 in Oconto to the late Alfred and Henrietta (Hansen) Stewart. He married Carol Olson and they were married forty five years. Jon worked for Darwin Electric for forty five years and the past few years for Stewart’s Heating and Cooling. He enjoyed hunting at the Stewart’s 40, stock car racing, the Packer and Brewers, and hanging out at the shop. Jon loved spending time with family, especially his grandkids. Jon is survived by his wife, Carol Stewart; son, Jesse (Diane Herald) Stewart; daughter, Emily (Josh) Bostedt; two grandchildren, Alyvia and Maks Bostedt; sister, June Carriveau; two brothers, Roger (Carol)Stewart, Bill Stewart; two sisters-in-law, Bonnie Stewart, Pat Stewart; brother-in-law, Jim Wilde; and many nieces and nephews. He was preceded in death by two brothers, Doug Stewart, Bud Stewart; two sisters, Joan Stewart, Glenore Wilde and a brother-in-law, Jim Carriveau. Funeral services for Jon are Private. Online condolences may be expressed at www.gallagherfuneralhome.net. In lieu of flowers memorials may be sent to the family. To send flowers or a remembrance gift to the family of Jon A. Stewart, please visit our Tribute Store. "Email Address" would like to share the life celebration of Jon A. Stewart. Click on the "link" to go to share a favorite memory or leave a condolence message for the family.